Amy Throw is an executive presence and leadership coach, strategist and speaker who helps women become powerful, respected leaders who are admired and trusted by others. Amy helps you envision your future with the Full Circle 7 program, a step-by-step roadmap for leadership development that helps women uncover their unique brilliance and show up as the leader they were born to be! Many women face challenges stepping into the C-suite or newly assigned managerial situations or running a growing business. Amy approaches executive presence in a truly unique way, as a “change from the outside in” approach. 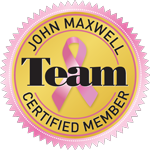 As a certified John Maxwell team member, successful entrepreneur and business strategist as well as an image expert, Amy acknowledges how our external presentation plays a role in developing internal confidence and leadership acumen. She grounds women in their own power and self-confidence, giving them flight to their highest ambitions and potential in both the workplace and in life. What can Amy do for you? Take the Full Circle 7 program assessment to find out. Amy is wonderful at empowering women to meet their potential. Any time a woman is working in her strengths and feeling confident and competent, any organization will benefit. Amy’s fashion design background helps enormously with executive presence coaching. Most coaches don’t have this piece. Amy is inspiring and makes you feel like you just took a spa day. Amy created the Full Circle 7 program as a barometer for each of her clients to monitor their areas of strength as she sculpts away at what you don’t need (old anxieties, bad habits of speech and body language, careless approach to appearance and dress and negative beliefs) to uncover the zones of genius within you and seven key areas you need for the ultimate executive presence. 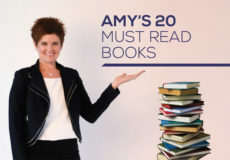 With her varied experiences as an executive coach, a John Maxwell-trained facilitator and an image consultant and entrepreneur, Amy is an engaging, impactful speaker to audiences large and small. Her dynamic, upbeat and engaging speaking style entertains as well as informs. Amy can speak on a variety of topics or customize a presentation for your company’s needs.